Carrying a long winemaking tradition of excellence that spans over 300 years, Chateau Gruaud-Larose belongs to the class of wines who boast a legendary style of finesse. This "wine of kings and the king of wines," according to the estate's motto, is the result of a passionate commitment to crafting aromatic and beautifully floral wines (Larose) with an unmistakable minerality derived from the gravel terroir (Gruaud). 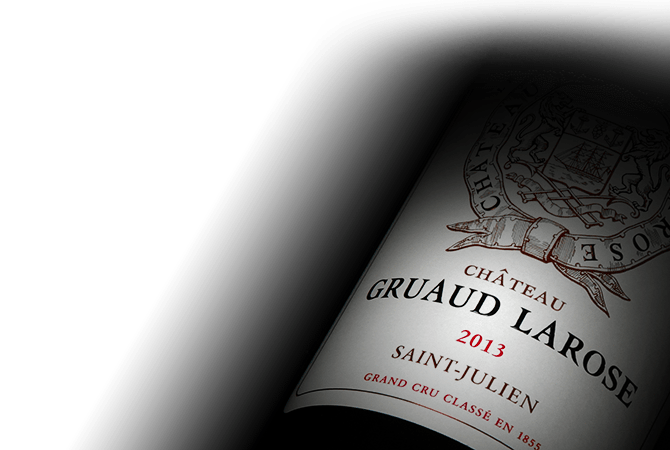 In the appellation Saint-Julien, Chateau Gruaud-Larose is a predominately Cabernet Sauvignon and Merlot wine.